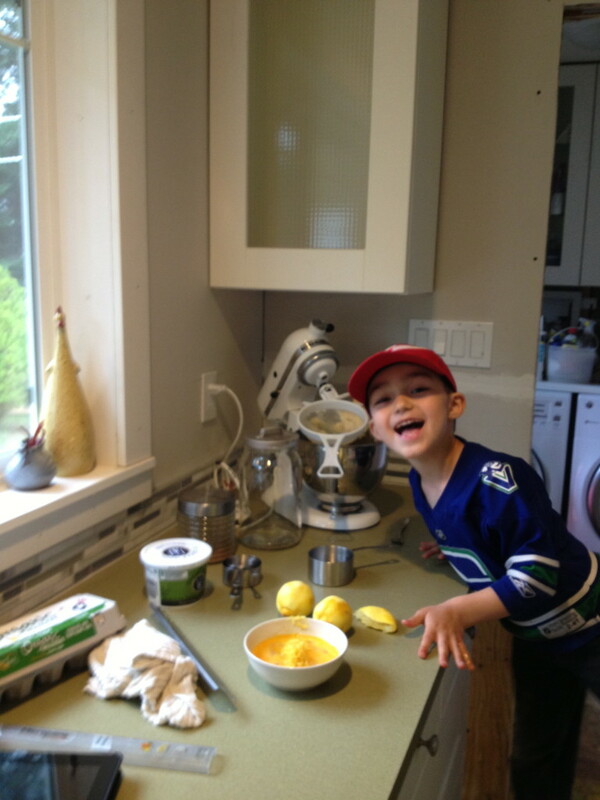 I am patiently waiting (well, at least I am trying to be patient) for my vegetable garden to explode with produce. The warm-weather seedlings are taking hold in the garden soil and beans are sprouting along the front wire mesh fence. 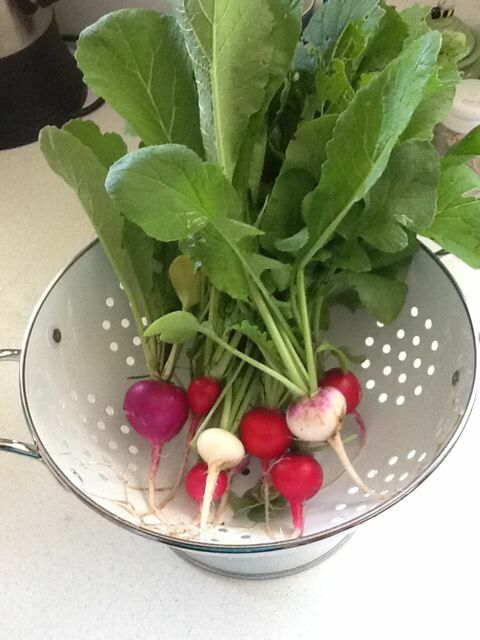 The lettuce is big enough to steal outside leaves for salad and the reddish radishes are ready. As I, and other neighborhood gardeners, have been nursing our young vegetable patches, our attention turns to protecting it. We have extreme deer (and rabbit) populations in the Comox Valley. 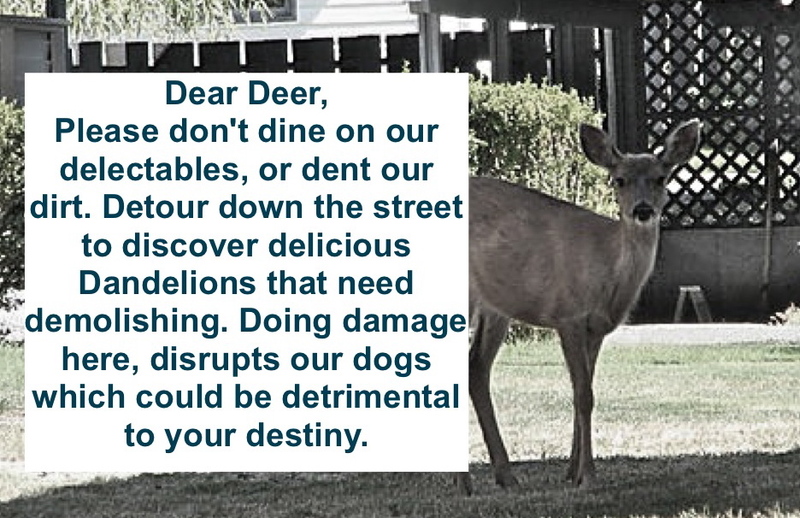 There are no coyotes and limited other predators on Vancouver Island, so the deer are able to wander freely on local streets and through vegetable gardens. There have been many lists made about what deer will and will not eat in our area. However, it is apparent that the deer just use the list as a menu. Sampling a variety of appetizers and entrees daily. There are only two sure ways to deter the deer from rambling through our vegetable and flower gardens … a high fence and/or a dog. I am lucky enough to have both this year. However last season, I was able to prevent major deer damage without a fence, by just using the scent of our dog. I had the dog come with me everytime I weeded the fence-less garden so he could roll in the nearby grass and “wet” the hedge. If he happened to plop a “deposit” nearby, I would leave it there and flag the spot to avoid stepping on it. Sounds a bit icky but it protected the vegetables from deer. 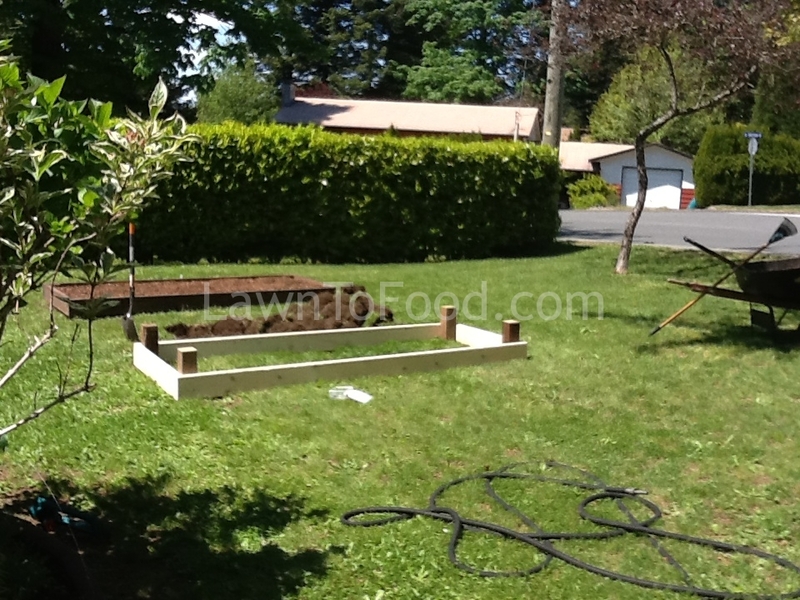 The un-fenced frontyard vegetable plots that the dog’s scent helped protect from deer. Dog hair also carrys a strong scent which can deter deer. I’ve read that placing dog hair in a baggie and attaching it to trees, bushes or stakes around the garden will cause deer to take a wide path, or avoid the area. I am going to try this method to hopefully discourage the deer from eating beans & greens that grow on the OUTSIDE of my fence. 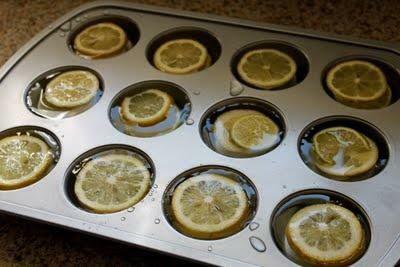 … and a few lemon ice cubes for refreshing summer drinks. After emptying the mesh bags of their lemons, I started collecting dog hair to fill the pouch. 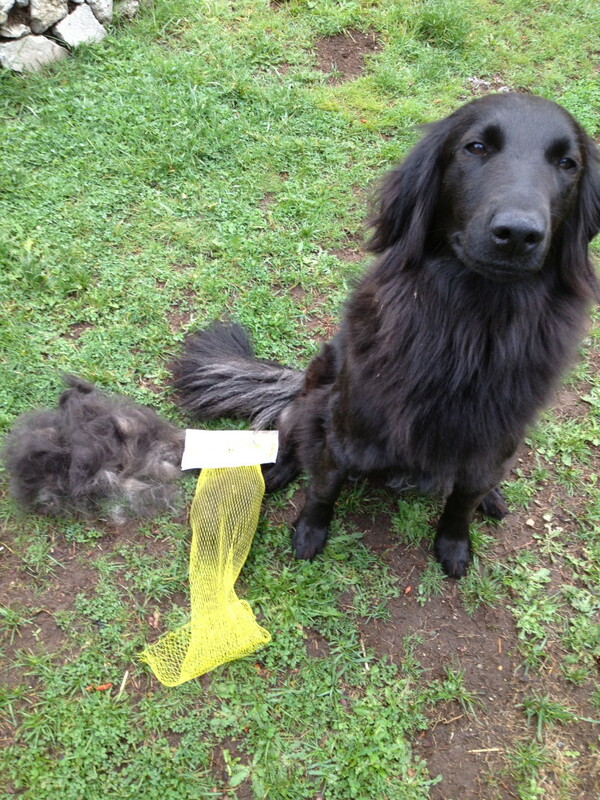 If you don’t have a dog to brush, stop by the local dog grooming salon to snag some fur to fill your own mesh pouches. This is our new dog Cara, and she loved being brushed to support the cause.